Lithium is a soft, silvery-white alkali metal so reactive (it sparks when it touches water) that it’s not found in nature. Instead, it’s found in mineral compounds and in mineral water. 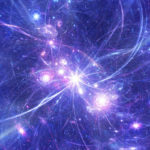 Cosmologists believe that lithium was one of the 3 elements synthesized in the Big Bang. [i] So it’s been around for a long time. Most of us associate lithium with treating mental illnesses like bipolar disorder and mania. Or the lithium-ion battery in our phone. Which has a tendency to blow up occasionally. Turns out that the anti-psychotic medication lithium isn’t even a drug. It’s actually a mineral. And part of the same family of minerals that include potassium and sodium. As a nootropic, micro-dosing lithium provides some amazing anti-aging benefits. Recent research shows that low-dose lithium may also help slow the progression of neurodegenerative diseases like Alzheimer’s, dementia and Parkinson’s disease. Low-dose lithium also helps neurogenesis and memory. And is a mood stabilizer. Here we’ll investigate daily or frequent use of Lithium Orotate as a nootropic, and how it benefits cognitive health. Balance mood. Lithium calms mania (extreme highs and lows) by decreasing sensitivity of the post-synaptic norepinephrine receptor. [ii] And increases uptake of norepinephrine into synaptosomes. Preventing the release of this neurotransmitter. And lithium enhances the transport of Vitamin B12 and folate into brain cells. [iii] Affecting mood and aggression. Neuroprotection. Lithium increases brain gray matter, increases DNA replication for neurogenesis, prevents apoptosis, increases N-acetyl-aspartate (NAA), inhibits beta-amyloid secretion and protects against damage once it’s formed, chelates aluminum, and protects against glutamate toxicity. How does Lithium work in the brain? 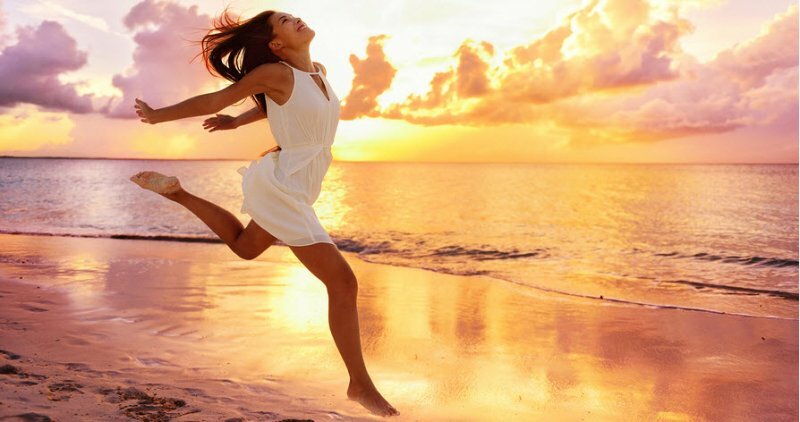 Lithium is an alkali mineral and one the trace elements considered essential for both animal and human reproductive health, and general health and wellness. Discovered as a chemical element in 1817, lithium’s first recorded modern medical use was in 1871 for the treatment of mania. But the use of lithium for therapeutic use goes back to ancient Greek and Roman times. People enjoyed soaking in alkali springs to help with physical and mental illness. 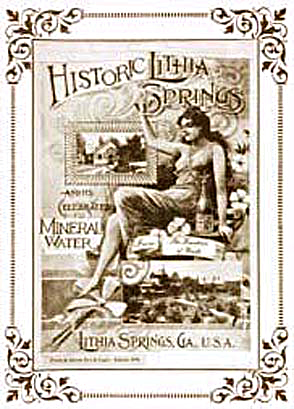 People have been using mineral springs for therapeutic use ever since. 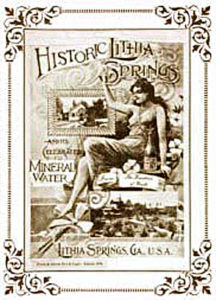 Lithia Springs in Douglas County, Georgia was so popular that people came for miles just to drink the water. The Sweet Water hotel, a luxury 500-room resort was opened in 1887. And attracted famous authors, business people and prominent politicians who came for the spring’s health benefits. The name “Lithia” stems from water rich in lithium. The United States FDA approved high dose lithium carbonate and lithium citrate in 1970 for the treatment of bipolar disorder. Carbonic acid and citric acid are mineral carriers used to transport lithium throughout your body. Doctors also prescribe lithium off-label for treating migraines, seizure disorders and psychosis usually after other treatments have failed. 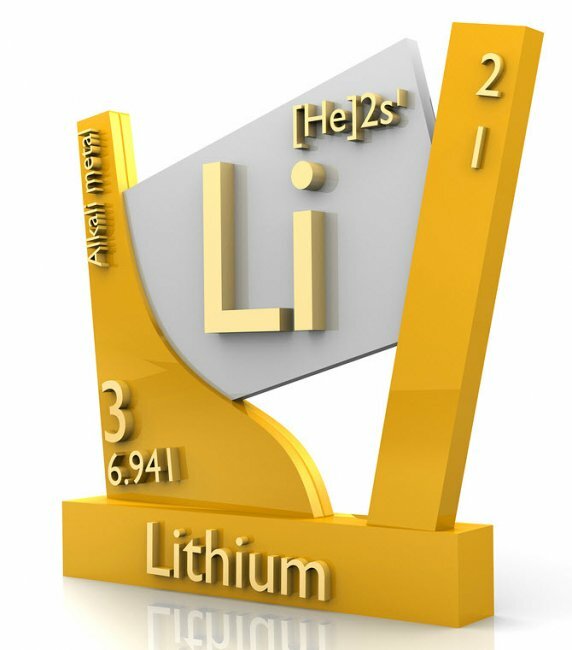 But as we dig deeper into the most recently published research on lithium, we realize this trace element is essential for optimal health and brain function. The lithium we get from our diet prevents many neurological and psychiatric problems. Micro-dosing lithium as a nootropic with a supplement like Lithium Orotate can help make up for the what we don’t get from our food and water. Lithium is naturally available from fish, processed meat, milk, dairy products, eggs, potatoes and vegetables. Your typical dietary intake of lithium can range from 2 – 600 mcg. Amounts vary depending on where the food is grown. Lithium helps brain health and function in several ways. But two in particular stand out. Lithium stabilizes mood. Recent research has discovered that lithium’s mood stabilization effects may be due to its ability to boost the production of new brain cells (neurogenesis). When neural stem cells produce new neurons in the hippocampus, mood and memory work as designed. But a breakdown in neurogenesis results in mood disorders. Lithium induced gene transcription in the hippocampus, amygdala and hypothalamus. All areas implicated in depression, anxiety, bipolar disorder, autism and schizophrenia. Lithium protects your brain. Your brain cells are at constant risk of damage from exposure to toxins you encounter every day from food, air, water and your environment. And the excitotoxins produced by ordinary brain cell metabolism. Lithium also increases the production of a neuroprotective protein called bcl-2. [xv] Researchers maintain that lithium is the only “medication” that has been demonstrated to significantly increase bcl-2 in several brain areas. As your dietary sodium and caffeine increases, so does lithium excretion in urine which increases your requirement for this essential trace mineral. Your exposure to stress and toxins from things like mercury, aspartame, MSG, Bisphenol A (BPA) and other excitotoxins also raise cortisol and other stress hormones. Increasing your need for more water-soluble nutrients like B-vitamins, magnesium, zinc and lithium. Adequate daily intake of lithium could help prevent many mental and neurological diseases due to this trace mineral’s effects on nervous system metabolism. And it’s anti-inflammatory and antioxidant effects. 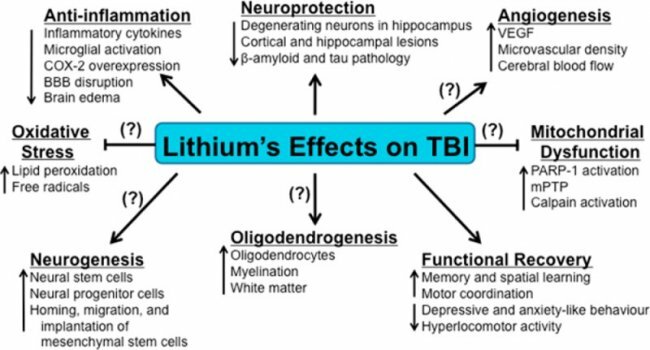 The clinical research and studies on the neuroprotective benefits of lithium are so overwhelming, some scientists are beginning to ask “why isn’t everyone using lithium”? Here’s a summary of how micro-dosing lithium using Lithium Orotate can benefit your brain. The benefits of supplementing with lithium go far beyond just optimizing cognitive health. Lithium also helps decrease insulin resistance, helps in treatment of alcoholism and other addictions, supports bone health, balances your circadian rhythm and more. My personal experience with Lithium Orotate has made me a believer in micro-dosing lithium. I’m Adult ADD and deal with mood swings from time to time. If I’m going around the bend because something upset me, I take 5 mg of Lithium Orotate. Within 15 minutes my mood stabilizes and I feel normal again. Consistent use puts me in a happy mood. Many others report you’ll feel the results taking a low dose of lithium quickly. But for some, the full effect can take anywhere from 1 to 3 weeks. Micro-dosing 5 – 10 mg of lithium daily results in consistent results within a month or two for some. I’ve experienced great results within a couple of days. So if you lash out at people in anger, and don’t fully understand why you get so angry – it could be your lithium levels are low. Many neurohackers with depression and anger issues notice results quickly. Within the first couple of days you should feel more calm, relaxed, and experience less stress. Keep in mind that lithium at any dose is not for everyone. But if you get adequate lithium from your diet and water, and still experience some of the mood swings talked about in this review, you could be dealing with other issues. You should know within a couple of hours of supplementing with low-dose lithium if this supplement is for you. For some, Lithium Orotate means feeling excited about life for the first time in a long time. Anxiety and social anxiety are no longer a problem. Life is more fun and enjoyable. Some say Lithium Orotate works better than any prescription that they’ve ever tried to treat severe depression. It provides a nice, smooth mood balance without all the toxicity associated with mega-doses of lithium carbonate. If you’re dealing with PTSD or mild insomnia, you may want to try Lithium Orotate. Focus could improve, racing thoughts diminish and motivation levels could increase. You’ll have more coping ability. A study at McMaster University in Canada set out to determine the effects on hippocampus volume in 14 bipolar patients who received lithium therapy. The researchers examined the effects of lithium on hippocampal volumes and memory performance and recall over 2 – 4 years. The patients had not received any type of medication prior to using lithium. The study found increases in hippocampus volume over time. And evidence of improvement of verbal memory performance over the 4-year measurement period. 24 adults recovering from heroin or methamphetamine addiction participated in a study in San Diego. Group A received 400 mcg per day of lithium taken orally for 4 weeks. The placebo Group B naturally took a non-active placebo. Subjects completed a mood test questionnaire containing questions about their ability to think, work, mood and emotions. For the lithium group, mood test scores increased steadily and significantly during the 4 week period. The lithium group also reported significantly increased levels of happiness, friendliness and energy. Group B showed no improvement during the same period. In this study, 42 alcoholic patients were treated with Lithium Orotate during alcohol rehabilitation in a private clinical setting for six months. The data was collected from clinical practice records for the 10 years following the initial study. The patients received 150 mg of Lithium Orotate daily for six months along with calcium orotate, magnesium orotate, bromelain and essential phospholipids. Ten of the patients had no relapse from 3 – 10 years. 13 patients stayed sober from 1 – 3 years. The remaining patients relapsed between 6 – 12 months. Lithium retains a grim and undeserved reputation. Likely because it was originally associated with serious mental illness. And like most medications, lithium can produce serious side effects if not monitored properly. Lithium carbonate or lithium chloride salts are typically prescribed for long-term control of bipolar disorder at 900 – 1200 mg per day. The major problem with such high doses of lithium are some very serious and debilitating side effects. For nootropic use, we suggest Lithium Orotate which typically contains only 5 mg of elemental lithium. Lithium Orotate is orotic acid combined with lithium. Lithium Orotate recommended dose is 5 mg two or three times per day. See “Available Forms” for more on lithium amounts in nootropic supplements. Many neurohackers use Lithium Orotate only as needed. For example, when feeling anxious or in the middle of a mood swing. For someone with bipolar disorder or manic disorders, increasing to two 5 mg tablets up to 3-times per day may be more effective. Naturopathic doctors suggest stacking 1,000 mg of Omega-3 and 400 UI of Vitamin E (as mixed tocopherols) each day you’re using Lithium Orotate. Do not confuse Lithium Orotate with lithium carbonate. The carbonate version of lithium is only available by prescription and comes with a host of side effects. Lithium Orotate at low doses is non-toxic and lab tests are not required to monitor your lithium levels because it does not show up in blood samples. Lithium Orotate should not be used if you are dealing with significant renal or cardiovascular disease, severe dehydration or sodium depletion, or if you’re taking diuretics or ACE inhibitors. Do not use Lithium Orotate if you are pregnant or breast-feeding. You should check with your doctor if you are on any medication before using Lithium Orotate. Mother Nature has already put the antipsychotic “drug” lithium in drinking water. And you get some lithium from food depending on where it’s grown. Supplemental Lithium Orotate typically comes in 120 or 130 mg capsules or tablets containing 5 mg of elemental lithium. Lithium Orotate 5 mg 2 or 3 times per day. We recommend using Lithium Orotate as a nootropic supplement if you’re feeling anxious or depressed. Or experiencing mood swings. Your body does not make lithium on its own. So you must get this essential trace mineral from your diet, or a supplement like Lithium Orotate. Lithium combined with orotic acid makes Lithium Orotate which readily crosses the blood-brain barrier, and you should feel its effects within 15 – 20 minutes of taking it. 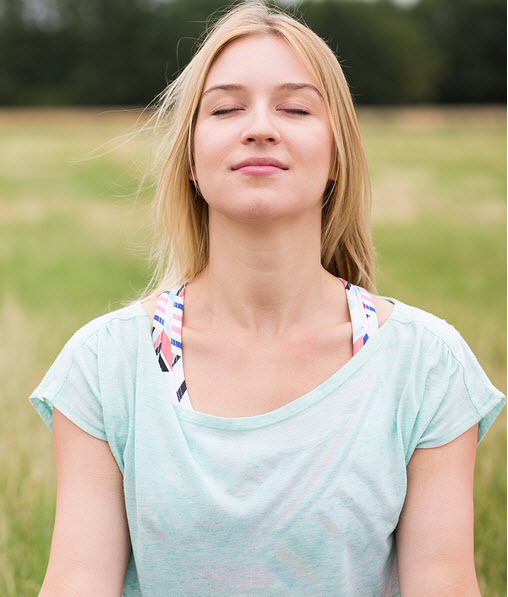 Lithium Orotate is especially effective if you’re feeling stressed, or mentally over-worked. Your brain uses lithium faster and it needs to be replaced. Which you can do by using Lithium Orotate. Lithium Orotate is great if you are ADHD because lithium calms the hyperactivity in your brain. Supplementing with lithium does not change your state of consciousness. It simply helps bring you back to feeling normal and happy. We suggest trying Lithium Orotate as a nootropic supplement with your first dose at 5 mg and see how you react. If you experience no negative reaction, try another 5 mg in a few hours. Up to 3 – 5 mg doses per day. You’ll likely experience the full benefits of Lithium Orotate within a week of consistent use. [xiii] Collingridge G.L, Watkins J.C. “The NMDA Receptor.” New York: Oxford Univ. Press; 1994. I tried 5mg of Lithium Orotate for a couple of days. I had great hope in my heart that it would help me with my anxiety, depression and insomnia. Instead I have noticed an increase in anxiety. I stopped taking all of my supplements today and tomorrow will try only the Lithium. Has anyone else sensed an increase in symptoms? I so wanted this to work for me. Lithium requires energy from the thyroid, if you’re unable to produce what is needed you might have more of an adverse effect i guess. Håkon, thought I’d interject here because I am hypothyroid. And use Lithium Orotate without any problem. The studies done since the 1960’s indicate lithium therapy for bipolar patients can induce hypothyroidism in some patients. But the studies are talking about using therapeutic doses of prescription lithium such as lithium carbonate. We’re talking in the range of 500 – 800 mg of lithium per dose. Lithium Orotate provides only 5 mg vs 800 mg. I highly doubt it will have any effect on the thyroid and it certainly hasn’t on mine. One small correction on your statement… Lithium seems to accumulate 3 – 4X more in the thyroid than anywhere else in the body. And at high doses inhibits the release of thyroid hormones T4 and T3. Therein lies the problem in some people with a malfunctioning thyroid. (https://www.ncbi.nlm.nih.gov/pmc/articles/PMC1584230/). If anyone seeing this thread has more information and cares to join in please do. I have Lyme etc etc and I am on tons ofherbs, supps, and vitamins, also starting chelating of metals per Andy Cutler . My question is – I already take remeron ( a tri- cyclic anti- depressant / anti- anxiety and Valium for sleep. I would love to transition to lith orotate 120 mg instead of that crap I’m on but am concerned if I overlap I will be getting too much serritonon etc ..
Nikki, I’m not a doctor and don’t even play one on TV. So please check with a doctor before trying any nootropic supplement with the medications you are using. Lithium Orotate provides a very low dose of elemental lithium. So shouldn’t interact with a tri-cyclic antidepressant, or with diazepam. But again, please check with your doctor. But do NOT use any nootropic supplement that directly or indirectly affects serotonin while on these medications. Including tryptophan, 5-HTP and melatonin. Serotonin Syndrome is real and can be deadly. Nikki, you deserve a more encouraging answer than I gave in my first comment. I stand by what I said about the interactions and dangers of combining prescription antidepressants and some nootropic supplements. But there are natural options to antidepressants that may help without the nasty side effects if used wisely. Detoxing from these prescription meds can be tough. But it is worth the effort. Read through both posts. Each has links through to full reviews of each nootropic which include recommended dosage, side effects and types to buy. If you have questions about any of them please leave a comment below that review like you did here for Lithium Orotate. The thing is there is no magic pill. You’ll not have success with just one supplement. It often takes a ‘stack’ of supplements to get to where you want to go. It’ll take time and experimenting but is worth the effort. Is the key word here “high doses” ? If someone is taking thyroid hormone and is hypothyroid (even mildly), should they not take low dose lithium orotate? Most people over 50 have some hypothyroidism going on, since any endocrine system slows down with age, but does the lithium make it worse, or antagonize thyroid output, etc.? David, Lithium Orotate by its very nature is “low dose” because tablets usually have 5 mg of elemental lithium. I am hypothyroid on high doses of natural desiccated thyroid (NP Thyroid). I use up to 5 tablets of Lithium Orotate per day for a total of 25 mg elemental lithium. And have not found it affects me negatively. I only get good results. Can I suggest 400-800 mg a day (2 divided doses) of magnesium citrate. If particularly anxious chew one till a powder and swallow with water. There are estimates that 80% of americans are magnesium deficient. Its being called an “epidemic” by some authorities. Magnesium keeps me calm. Lithium keeps me happy. Try it! It worked for me. Will Lithium have any effect on the growth of a lymphatic cancerous tumor? Marie, answering your question is way above my pay grade. But from what I’ve been able to find in the research, “lithium was found to prevent metastasis to the lungs, liver, and lymph nodes by inhibiting TGFBIp-induced tumor lymphangiogenesis.” According to this study > https://www.nature.com/articles/srep20739. Other research seems to support this but not specifically lymphatic tumors > https://bmcmedicine.biomedcentral.com/articles/10.1186/1741-7015-10-131. And here > http://journals.plos.org/plosone/article?id=10.1371/journal.pone.0134676. Toxicity of lithium is mentioned when talking about high dose lithium carbonate-type drugs used to treat bipolar disorder and the like > http://cen.acs.org/articles/91/i12/Limits-Lithium.html. But here we’re talking about using micro-doses of lithium with Lithium Orotate. I strongly suggest discussing this further with your doctors. I read that oratic acid in the oratate is carcinogenic and can cause cell mutations. It can also contribute to the growth of an existing tumor and is not advisable for a health conscious individual to consume. I take Lithium oratate daily and I found this information to be very disturbing, as I am not ready to give up the benefits of this supplement. Rose, would you please provide a link to a peer-reviewed clinical study that shows oratic acid is carcinogenic? Please don’t link to some other website. We need an authority here with definitive proof that this is true. Is it possible that lithium orotate can raise blood pressure? I was using it and loving the way I felt but when I went into my dr. My blood pressure was unusually high. I quit using it and it seems normal again. Ginny, Lithium Orotate often stabilizes blood pressure. I’ve found it lowered mine to safer levels and some other neurohackers have reported the same. But it is possible for Lithium Orotate to interact with other medications. Which may raise blood pressure. Take a look at the other medications and supplements you are taking. 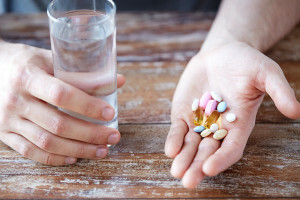 Here is a partial list of drug interactions and lithium > https://www.rxlist.com/lithium-page3/supplements.htm#Interactions. It’s also possible that your body has sufficient levels of lithium already. If that’s the case then using Lithium Orotate would send you over the safe limit for lithium. Thank you for your response! I’m not on any medications, but just take some supplements, such as CoQ10, MSM, codliver oil, B vitamins, Inositol, and B12, and “Natural Calm” a magnesium plus Calcium formula. I really was wanting this to work for me. I’m going through almost unbearable stress right now. Maybe the stress itself is pushing my blood pressure up, I don’t know. I normally have always had low to normal blood pressure. 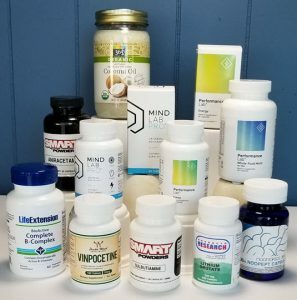 Ginny, take a look at this article I wrote on dealing with stress here > https://nootropicsexpert.com/top-7-nootropic-adaptogens-to-conquer-anxiety-and-stress/. You may want to consider Lemon Balm, Bacopa or Rhodiola. I’m reluctant to suggest a specific nootropic because your body may react differently to something that works for me. I have great success with Rhodiola Rosea. You may have more success with Lemon Balm. Keep on experimenting until you find your sweet spot. It sounds like you’re getting very close. Thanks David! Tried Rodiola Rosea. It actually made me more anxious, unfortunately. But am giving it to my husband who has mild cognitive impairment. I will check out lemon balm. I’m taking GABA and inositol at night and that is working well for me. Thanks for all your help! I’ve had lifelong low level depression. I was actually on adderall for nearly a decade to combat depression/focus and it pretty much nearly destroyed me towards the end. After stopping adderall two years ago my motivation and love for life struggles but will never go back to it or any pharmaceutical anti-depressants again. The battle to get off adderall has been the hardest thing in my life. I don’t know the lithium orotate dosage I should take given my situation. Really hoping I can feel happy again seems out of the 100 different supplements I’ve tried this one might work with so many success stories. I started on 10 mg a day then 20 mg not sure if I should go higher or give this dosage more time. Frank, follow the dosage notes in this review for Lithium Orotate and you’ll be fine. But please consider repairing the receptor damage caused by Adderall. You could try something like Lion’s Mane Mushroom > https://nootropicsexpert.com/lions-mane/. Thanks for the info one thing been suggested is taking Rhodiola Root Extract. It’s a little costly and I’m already spending a good amount on supplements just was curious if it may be worth trying. Side note noticing daily small improvements taking Lithium Orotate. I also do a keto diet and work out regularly this supplement definitely helps lift my mood. It’s a shame doctors prescribe horrible SSRI’s before suggesting this stuff. Frank, Rhodiola is definitely worth trying. I use it every day and find it has a positive effect on my mood. But make sure you are careful about which Rhodiola you choose and get it from a highly reputable source. It is one of the supplements that has been flagged by the industry for often being adulterated because of limited raw supply. struggling taking so many nootropics daily but feel I may have damaged my self beyond repair. Still in hopes I’ll find one that really helps. Frank, getting genuine Rhodiola Rosea is a tough one. The most reliable and trustworthy manufactures for this nootropic right now are Solgar (Standardized Full Potency Rhodiola Root Extract). And Gaia Herbs Rhodiola Rosea products. After reading your article i decided to get some lithium ortate for my daughter who is going through a very bad post partum psychosis an is on haldol tried to get her off haldol but her symptoms get worse whdn she does not take it. She also has bipolar .where can i get it ,please i need help. Allison, Lithium Orotate could be a great option for your daughter. But please use caution because studies have shown big problems combining lithium with Haldol. https://www.ncbi.nlm.nih.gov/pubmed/6415823. Lithium Orotate is a fraction of the dose they’re talking about in these studies where they were using lithium carbonate. But one study mentioned problems even with low blood lithium levels. So if you are going to try Lithium Orotate please do not use it in combination with Haldol. Nootropic supplements should be able to help your daughter. But it will take some research and experimenting. One of the better options that comes to mind is CBD Oil > https://nootropicsexpert.com/cbd-oil/. I would also check out zinc > https://nootropicsexpert.com/zinc/. And a high quality B-Vitamin complex. 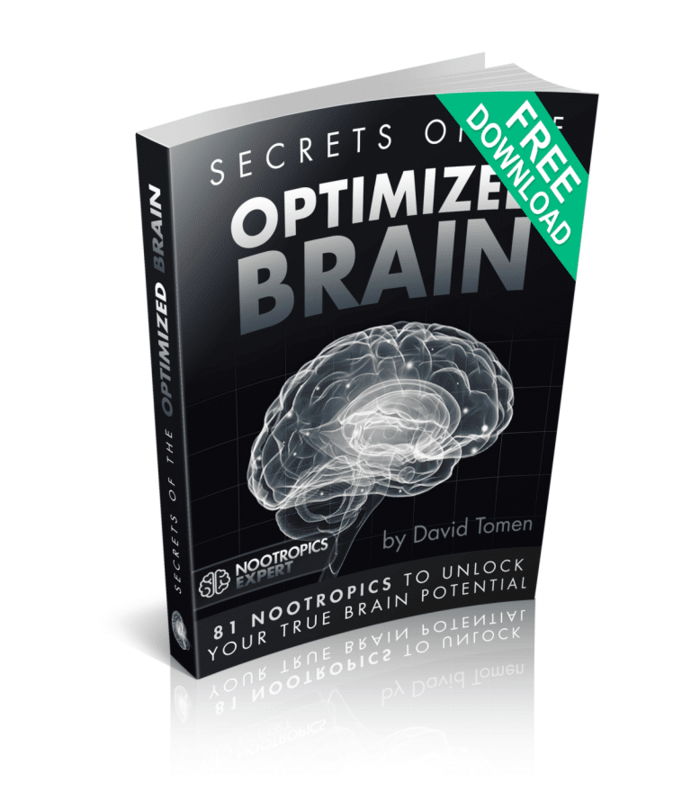 I mention the B-vitamins because they are critical for optimal healthy brain function. Vitamin B9 – Folate for example is absolutely required for brain neuroplasticity. And the synthesis of ALL the major neurotransmitters > https://nootropicsexpert.com/vitamin-b9-folate/. But choose a complex that is highly bioavailable like Life Extension’s BioActive Complete B-Complex. You want to avoid any B-Complex that uses folic acid instead of folate. Or uses cyanocobalamin instead of methylcobalamin. I suggest you do a search here on Nootropics Expert for “bipolar” and another search for “psychosis” and see what turns up. If you have any questions please leave it in the comments section of the related post. I have mild ADHD with anxiety. I have tried lithium orotate (5 mg elemental lithium) a few times and have noticed blurry vision. Is this one of the side effects of lithium and if so with continued use should this side effect go away? Alan, it is possible that lithium orotate affected your vision. It is one of the very rare side effects reported. And it is possible that the symptom will go away over time. But it is also possible that lithium orotate may not be a good option for you. Please do a search of Nootropics Expert for “anxiety” and find some other options. You have plenty to choose from and to experiment with. Thank you for your question. Is the blurry vision a side effect from the lithium, or the orotate? Life Enhancement carrys a Lithium supplement from Pearson and Shaw that contains a lithium sulphate form. David, I haven’t heard of Lithium Orotate causing ‘blurry vision’. So not sure what could be causing that symptoms. Other than possible interactions with other prescription medications. Hi David, I am on Lithium-Carbonate (and come from Quetiapine) and also got that blurry vision. When I started the Performance Lab Multi, the blurry vision went away soon. Is there a protocol for coming off of a anti-depressant like Cymbalta(60mg in my case) and converting over to Lith Orotate ?? I’m also on a ACE inhibitor(Lisinopril). I read your link to drug interactions and the title to that page was for Lithium, not a listing for Lith Orotate, or are they the same interactions ?? Doyle, Lithium Orotate is ‘lithium’ albeit in a much smaller dose than the pharmaceutical. It will have the same interaction but degree will depend on 1) amount of lithium orotate and pharmaceutical and 2) your own body chemistry. I’m not aware of any protocol for detoxing specifically from Cymbalta. 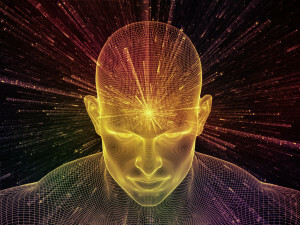 But NADH has been used intravenously since the 1960’s for detoxing patients from alcohol, opiates, tranquilizers and stimulants (https://www.thefix.com/content/brain-restoration-'too-good-be-true'-addiction). If that link doesn’t work for you, see my review on NADH here: https://nootropicsexpert.com/nadh/ and scroll all the way down the bottom of the green Nootropics Expert Recommendation box for a link to the study. Use the same site for drug interactions to check for Lisinopril interactions with any nootropic you are thinking of trying. Ron, it depends on what definition you are using for “habit forming”. Detoxing from benzos and antidepressants is worse than detoxing from opiates. And one of the reasons people stay on them. Because they fear the withdrawal symptoms. Lithium Orotate can help boost the effectiveness of antidepressant medications. But is not much help in detoxing from them as far as I know. There are several natural alternatives for dealing with anxiety. You can read more about that here > https://nootropicsexpert.com/best-nootropics-for-social-anxiety/. The focus of that post is “social anxiety” but it applies to any kind of anxiety you are experiencing. Many nootropics on Nootropics Expert can be dangerous (and sometimes deadly) when combined with prescription meds. Particularly antidepressants. So please be very careful and do your research before trying anything. Most mainstream doctors haven’t a clue so it’s up to you do do your homework. Carefully read through the full reviews linked to in the anxiety post. And if you have any questions please leave a comment at the bottom of the relevant review. Hi Ron, I nowadays use Pharmagaba in stead of Temazepam (a benzo). It works so well that I rarely have to use a Temazepam. Besides that I am on lithium (carbonate), and hope to be on LithiumOrotate within a view years. I also use magnesium and zinc (both relaxing) and orther suplements. Hi David, just had a question about some drug interactions with lithium orotate. I’m taking 10 mg abilify, 300mg lamotrigine, and 75mg synthroid. I have bipolar 2 disorder and am considering supplementing with low dose lithium. My psyciatrist has already cleared me for the use of lithium orotate which is good. The only thing is that he wants to wait and see if increasing my lamotrigine from 250 to 300mg will help my mood; I cycle a lot and its very frustrating. I am going to start taking lithium orotate if this med increase does not work. Are there any neggative drug interactions that you are aware of with these medications that I am on. Matthew, there are no drug interactions that I know of with the meds you are using and Lithium Orotate. Primarily, because the lithium dose is so low. But please don’t take my work for it. I’ve found a great place to check for drug interaction here > https://www.drugs.com/drug_interactions.html (Check for “lithium” but not “lithium orotate”). 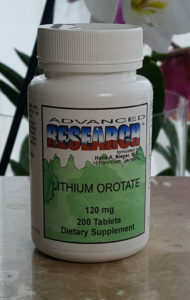 If you decide to try Lithium Orotate I suggest you follow the dosage instructions in this review including using 1,000 mg of a high quality Omega-3 and 400 UI of Vitamin E (as mixed tocopherols). Please do not use the “dl” synthetic version of Vitamin E.
You may find it works even better by supplementing with folate and Vitamin B12 as well. Because lithium enhances the transport of Vitamin B12 and folate into brain cells. Which affects mood and aggression. But it can’t transport these vitamins into brain cells if there is not enough of each available. I have a general question and would appreciate tapping into your extensive knowledge. I will do my own research as well but want to know if I can even use nootropics at all. I take 450 mg Wellbutrin, 20 mg Lexepro, and 8 mg Subutex (for pain). I have had depression most of my life and also have Fibromyalgia. I would like to try taking Mind Lab Pro to increase my motivation. I also have social anxiety which is a secondary but less important issue. 1. Do you know if there are any drug interactions with what I’m taking? 2. If not, what should I add to it to increase motivation? 3. Is there anything I should add to help with my social anxiety? I would appreciate any input. I can’t continue to live my life the way I am… I am totally unmotivated and feel like I’m just waiting to die. Please help. Taylor, the first thing you need to do is learn exactly what each of the drugs you are using does in your brain. I’ve found a good place to start is Wikipedia. Learn as much as you can about each. Especially the section called “mechanism of action”. Then learn as much as you can about each nootropic you are considering. Again, learn about their “mechanism of action” in your brain. Then ask yourself what would happen if you combined a drug with a nootropic that does exactly or similar things in your brain. What would be the consequences? For example, if the drug increases dopamine and the nootropic increases dopamine too … what does too much dopamine mean? And how can it harm you? I’ve been where you are right now. So I get it. But help is available starting right here. It will take dedication and a time commitment on your part. And it is a steep learning curve. Stick with it and you will get better. I know … I did. Thelma, the supplement is “lithium” + “orotate”. 120 mg typically contains 5 mg of “elemental” lithium. Which means a 120 mg tablet or capsule will supply 5 mg of lithium. Brain, because if you measured 5 mg on a small scale you’d see how tiny the amount is. The rest is to fill the capsule and pad out the tablet. Hi David very informative as usual do you know anything about NSI-189? Dan, I have not researched NSI-189 but it works by promoting neurogenesis as I recall. We have several other nootropics that also promote neurogenesis. And I would be using those before trying an experimental drug. Seems safer to me. Thanks for your reply David, I have been on Wellbutrin and NAC am still having anhedonia along with brain fog.What do you recommend? Dan, Wellbutrin is a norepinephrine-dopamine reuptake inhibitor (NDRI). And it’s an antagonist of acetylcholine receptors. And it negatively affects serotonin receptors. If you are still using Wellbutrin it means your brain (esp.. in the prefrontal cortex) is releasing more dopamine and norepinephrine. More acetylcholine should be available. But it sounds like you do not have access to as much serotonin as you should. You may want to try Lion’s Mane to help repair some of the receptor damage (https://nootropicsexpert.com/lions-mane/). And take a look at Phenylpiracetam for brain fog (https://nootropicsexpert.com/phenylpiracetam/). But whatever you try please follow dosage instructions to a “T”. I also suggest you use the search function top right for “brain fog” and see what turns up. I have tryed litium orotate.I also use vit e,b,k,d,c,and I use wild yam,5htp,dhea,athrroid supplement and spirulina.I started to have chest pains during my second or third day.is this because of my combination of supplements? Jessica, I was likely because of at least one supplement. 5-HTP in particular is a potent supplement and I recommend avoiding it. And choosing something else to boost serotonin. What versions of Vitamin E, B-Vitamins and Vitamin C are you using? If any of them are synthetic they could be causing problems. I have a family member who recently had a hyper-manic episode and was diagnosed as bipolar. They currently are taking zyprexa but they really don’t like it. Do you think LO would help them and would it interact with the Zyprexa. Bernard, Lithium Orotate may interact with Zyprexa (Olanzapine) but the doses of elemental lithium in a Lithium Orotate tablet or capsule are so low (i.e. 5 mg) that it may not be an issue. The do have some similarity in their mechanism of action in the brain. You may find other good options for bipolar disorder here on Nootropics Expert. Use the search function top right for “bipolar” and see what turns up. Any tips or suggestions here? Felix, ED never came up during my research on Lithium Orotate. Likely because it is such a small dose of lithium. So it comes as a surprise that Lithium Orotate had this effect on you. There are plenty of studies showing that male patients with bipolar being treating with much higher doses of lithium experienced ED. It seems that lithium prevents relaxation of the corpus cavernosum (https://www.ncbi.nlm.nih.gov/pubmed/18374915/). I use Lithium Orotate daily and do not have this issue. But I also supplement with 6,000 mg of L-Arginine daily as well. Turns out that in clinical studies L-Arginine reversed this side effect in men having this problem (https://www.ncbi.nlm.nih.gov/pmc/articles/PMC4869162/). You may want to try supplementing with L-Arginine and see if that helps. It’s perfectly safe to use daily and there is no tolerance. Thanks David for your reply… 6,000 mg of L-Arginine is 6 grams, like 12 500 mg capsules of it. do you take them all at once or throughout the day? Felix, I buy bulk powder and make my own 1,000 mg capsules. Sometimes I take them all at once. And sometimes divide it into two doses. 1,000 mg of L-Carnitine also helps because it inhibits the enzyme the degrades nitric oxide production. So I use 6,000 mg of L-Arginine and 1,000 mg of L-Carnitine. I take Amlodipine (for high BP) and Hydroclorithiazie (water pill) in the am everyday. Before I went on these I bought a bottle of the Lithium Orotate 5mg….would it be alright if I took the Lithium Orotate in the later PM? I have had depression all my life, now in my 60’s. The doctors gave me antidepressants all the time which always gave me side effects. My new doctor gave me a scrip for Bupropion which I will Not take either! Please reply with any info that may help me? Thank You David! Jerry, it may be a problem combining Lithium with Amlodipine according to this: https://www.drugs.com/drug-interactions/amlodipine-with-lithium-172-0-1477-0.html?professional=1. You may want to check with your doctor. Or track down a good naturopath who can advise you. Hi, I accidentally poisoned myself with an old atomic coffee machine and hair analysis shows extreme aluminium and lead levels..i thought I was going to die, insomnia, dizzy, severe brain fog, spinal tingling, hands tingling and close to feel like lights out. I did IV edta chelation (2.5yrs ago 2x) which stripped my iron levels leaving me anemic as a ghost. Created ectopic heartbeats which I’ve since healed the ectopics with ascorbic acid (marvellous) which has helped restore iron. My latest hair analysis a month ago showed minor reduction in aluminium and hardly any lead. The side effects were life threatening to me, bed ridden and slept constantly for 1.5years. no doctor can help except synthetic chelation tablets which scare me..on my latest analysis I noticed my lithium levels beyond low off the chart so did a blood test last week to check. I am depleted in lithium to a point where my behaviour and depression makes sense now. I thought the depression was just being so sick/poisoned it was making me unhappy, but it’s getting to boiling point. I’m irrational, etc etc feel like I’m going insane. I read somewhere on your site or another that lithium chelates aluminium? I bought a bottle today but again scared how much this will disrupt the aluminium and how full on the effects might be..can you advise or shed any light? I would be eternally grateful..
Sarra, Lithium Orotate tablets or capsules typically only contain 5 mg of elemental lithium. So try one tablet and see how you feel. You’ve been through detox so you know what it feels like. If you increase your lithium dosage and start getting detox symptoms you cannot comfortably handle then back off a bit. I seem to recall a couple of other nootropics here on Nootropics Expert that help with heavy metal chelation. Use the search function top right for “chelation” and “detox” and each of the heavy metals you still need to get rid of – and see what turns up. Iodine may be one of them. I haven’t done any research on silver or zeolite. If you have please share what you’ve found out and your experience with them. Hi David, I currently am taking magnesium glycinate for muscle cramping issues and for anxiety I take magnesium L-threonate (magtein). the Mag l-threonate has helped a lot! I have been advised to also give Lithium Orotate a try. Can I take this magnesium and lithium orotate at the same time of day or together at all? will it affect one or the other? I was only planning a low dose, one 120mg cap (5mg of lithium I think) a day. Also, what is the best time of day to take the dose of Lithium? JR, I use both every day with no issues. Lithium Orotate only has 5 mg of elemental lithium per tablet. The dose is so low it doesn’t even show up on lab tests. But it works. I find that taking magnesium about 90 minutes before bed helps me sleep. And lithium can be taken at any time during the day. Thank you for writing such a wonderful article. I started taking Lithium Orotate only a week and a half ago, for chronic insomnia. Due to years of stressful situations. I would seriously only sleep about 5-6 hours a MONTH, for the last 6 months. It has saved my life…….. Tried 3 sleeping pills from medical doctors, spent over $2500 trying to get to sleep. Sleeping pills were worse than the insomnia. Horrible, horrible side effects. And an $11 bottle of Advanced Research Lithium Orotate is turning this devastating issue around. Amazing, amazing results. I feel happy again, really happy. Like I used to be years ago….. I am so grateful…………..
My nutrition label says amount per serving is 120mg, with a parenthesis that says (4.6mg elemental lithium). So when you say 5mg dose…I am presuming we are looking at the one in parenthesis to compare right? If so, what is the 120mg referring to exactly? Oh! And do I take it with/before/after meal? Jay, the rest of the tablet or capsule should be orotic acid (orotate) unless the manufacturer has included other ingredient. Check the label please. And you can take Lithium Orotate at any time. Is lithium aspartate as good as lithium orotate? I doubt it. All of the research I could find referenced Lithium Orotate. Hi David, first arrived to your site now and would like to ask if you have recommendation for a multi mineral supplement that also has lithium? I get confused with all the different options around and if they actually work. I’m not aware of any quality multi-mineral supplement that includes Lithium Orotate. I’m feeling a bit uneasy about Lithium Orotate. I don’t really know why. Maybe it’s because it’s not really documented much in the mainstream literature. Could you please reassure me it’s safety and possibly your experience with it? Charlie, lithium has a bad reputation in general because it has been used for decades in high doses to treat psychiatric problems. Lithium Orotate provides 5 mg of elemental lithium vs 900 mg of prescription lithium. I love this nootropic because it helps level out mood swings. Side effects are nearly non-existent when using recommended doses. The dose is so low it doesn’t even show up in lab tests. Can you take this in conjunction with Mind Lab Pro? Is it safe? Absolutely. Lithium Orotate is one of the safest nootropic supplements available. I use it daily along with Mind Lab Pro. 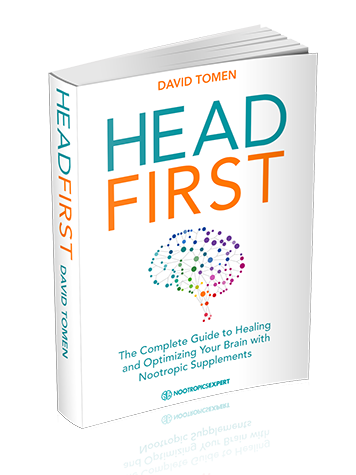 I would like a hard copy of your book Head First, not a digital copy-it hurts me to be on any digital devices. Please let me know how I can get this. Thank you! Alexis, Head First is only available in digital form so far. I’m hoping to offer it in paperback later this year. But it’s going to take awhile. every night and my 5 mg lithium orotate every morning. I also take 4.5 g MSM in the morning. Any problems with this combination. Thank you so much for you kindness and concern for all of us. Rene, there’s no problem with that combination of supplements. How is it working for you? Love it. I’ve been sharing this info with family and friends. It’s a blessing. Thank you. Hey David I have bi polar and started taking 30 mg of lithium orotate. What do you think about this? Angelina, it should help stabilize your mood. Really appreciate you getting back to me. Yeah I have a bad case of bi polar type 2 and going through hypomania so the lithium orotate has helped immensely. I mean I take 30mg and wondering if going any higher than this is ok? As high as 40mg? Also I started taking a thyroid management vitamin complex with it. Again thanks for the quick response. Angelina, 40 mg shouldn’t be a problem. Just don’t raise your dosage to high. Please comment on how much L-tryptophan can be safely taken with Lithium Orotate. Ken, follow the dosage recommendations for L-Tryptophan here > https://nootropicsexpert.com/tryptophan/#dosage-notes. Lithium Orotate doesn’t have any direct impact on your serotonin pathways. So shouldn’t influence your dosage of L-Tryptophan. Mr. Tomen, I’ve recently started taking the Performance Lab sleep formula at night which contains 250 mgs of L-Tryptophan. Do you feel that taking 120 mgs of Lithium Orotate in the a.m. would be safe or too much of a risk of causing Seratonin issues? Dan, I don’t think you’ll have a problem. I use PL Sleep at night and Lithium Orotate in the morning and it works great. Nothing here will directly boost serotonin so much that you’d get into trouble. Hello Mr. Tomen. My adult son is on a cocktail of 20mg prozac, 300mg lithium carbonate, 25mg topomax, 1.5mg ativan, 1mg risperdal. He sufffers from depression, OCD and racing mind. We would like to try the 5 mg lithium orotate. Is it safe to add it to this cocktail. The depression is marginal but the OCD and racing thoughts need much help. Thank you for your input. Maria, Lithium Orotate is well tolerated in most situations. I’m not a doctor so please keep that in mind. But as a ‘layman’ I don’t seen any contraindications with the stack of meds you are referring to. Hi. I am considering trying lithium orotate, but I’m concerned about mentions that orotic acid might be mutagenic and carcinogenic. It’s in the Wikipedia article for orotic acid, and Googling “orotic acid cancer” shows a bunch of articles about it. I’m not sure how significant this is, but I think it would really help if it was addressed in your article. By the way, thanks for your work! Your site is very helpful to me. Your site and YouTube channel are a great resource. Keep up the good work. I have a question regarding Lithium Orotate. I took it twice, in the 5mg dosage. The first time I had a minor headache. Which I presumed to be normal due to it being the first time taking and my brain wasn’t used to it. The second time I had a headache that grew in intensity from when I took the dose at noon until I went to sleep that night, it was nearly migraine levels and the ‘hangover’ lasted another two days. I have not taken Lithium since. Does this indicate a deficiency in some neurotransmitter or vitamin/mineral? Or is the dose simply too high for me? RM, the only side effects I’m aware of are in the “Side Effects” section of this review. Please review that section and see if there is something you may be dealing with that you were not aware of. What is the best time to take Lithium Orotate? Thiago, you can take Lithium Orotate any time of the day. I find it particularly effective when use “as needed”. It tames irritability within 15 minutes of taking it. Joshua, Lithium Orotate may help some and I’m not aware of any contraindications with the meds you are taking. But please do the research yourself to be sure. The dosage of elemental Lithium in this supplement is so low it doesn’t even show up in lab tests. But is certainly is effective. One month ago I started my adhd very moody 13 year old boy on 1/4 dropper 1x day liquid Lithium Orotate 30ml. I tried this because a recent issue in his adhd meds failed to resolve the focus issues they observed. The stunning results were instant. the hyperactive component of his adhd is 100% gone. I actually lowered his adhd meds and his grades are actually better with teachers reporting that he has “suddenly matured” and is better focused and maintains self control. 360 turnaround. Q: his twin struggles with the add more so than the hyper component. I have had to increase his meds and I still see him struggling cognitively amongst his peers. It is causing self esteem issues. From what I have read about low dose lithium, it appears that this supplement could also help twin B with his add? I would appreciate any feedback. Thanks! Carol, Lithium Orotate may help but then again it may not. It entirely depends on the individual brain, how it’s wired, levels of neurotransmitters, etc. great article. How do you know how much lithium oretate to take and how do you measure the dose to know what is adequate? Vivian, Lithium Orotate can be used 3-times per day or as needed. And dosage depends on the supplement. Most Lithium Orotate tablets or capsules contain 5 mg of elemental lithium.